Most of our clients here at Garage Door Repair San Rafael use Clopay doors. This comes as no surprise, considering Clopay is a giant in the manufacturing industry. We've dealt with all kinds of situations, from door installations, to conducting basic repair and maintenance for existing clients. While Clopay is known for its durable and sturdy doors, we've noticed that most garage doors do not live up to their full potential because of improper use and negligence. Even the best in the market need regular care from their owners. Today, we've compiled a list of basic maintenance tips for these doors. This is a combination of tips from the manufacturers themselves, plus our own observations from our years of experience. 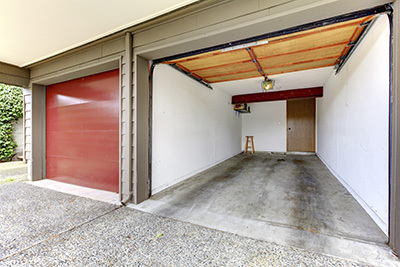 One of the simplest things a garage door owner can do is to lubricate their doors regularly. We recommend lubricating the door at least twice a year, and each time the door makes strange noises while operating. The noises you should watch out for are the creaking and squeaky types. Loud bangs and pops could mean that a spring or cable is broken or loose, and needs replacement or repair. However, for those irritating, squeaky noises, it's nothing WD-40 or 3-in-1 oil won't fix. Before you lubricate your doors, use a clean cloth to remove any dirt or grease from the tracks that has accumulated over time. Remember, not all garage door parts need lubricating. Lubricate only those that move, like the track, metal rollers, torsion springs, lift cables, hinges, bracket buttons, and sheave bearings. Never lubricate locks, plastic bearings, and nylon rollers. Ordinary windows on Clopay garage doors make for easy cleaning. Simply run a soft cloth soaked in mild dish-washing liquid across the surface to get rid of dust and dirt. If the windows come with inserts, then cleaning is even easier. You unlatch the snaps to remove the windows from the garage door when cleaning and then re-attach once you are done. Some of Clopay's doors have windows made of LEXAN. This new technology makes the windows more impact resistant, but cleaning is a bit more complicated. Clean the surface with a soft cloth or sponge, and use only mild dish-washing liquid or soap and lukewarm water. After cleaning the windows, use automobile polish to reduce the chances of scratches and abrasions. We recommend a general cleaning with the changing of the seasons, especially in winter and summer. It is important to prepare your door to deal with harsh heat or cold that is synonymous with these seasons. Insulation works well for both seasons as it can keep both the heat and cold out. If they don't have insulation, we recommend upgrading it, or installing Clopay's rolled or polystyrene insulation kits. You may also use a weather seal or astragal to keep the heat and cold out.